Today we’re talking to someone who absolutely defines the name of our show. Margery Miller is a woman your mother warned you about. A 60’s radical who never lost her spirit for women’s activism. 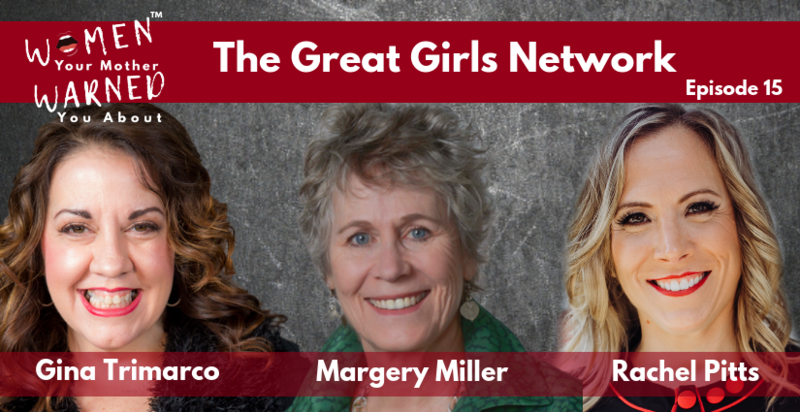 Margery believes that there is still a lot that needs to change for women in the business world which is why she founded The Great Girls Network, a safe space for women to step out and speak up. Too often women limit themselves in business and in life because they are “help-a-holics.” Margery knows because SHE WAS ONE. We discuss her 12-step program to break out of our help addiction and start focusing and trusting in ourselves. Margery is a seasoned business veteran having owned and managed a manufacturer’s representatives agency for 29 years before selling it to her employees and putting her focus on People Biz, which was a side business during her rep years. She helps people understand how to master the business of life. In 2014 she launched the Great Girls Network. Great Girls Network enables women to make more meaningful connections and be able to access their inner voices and authentic selves. After growing the Great Girls Network into a membership organization, she has put her focus on its development. Marjorie recently published Confessions of a Recovering Help-a-Holic, the first of the great girls network series of books. 6:15 – What does the creator of The Great Girls Network think of the name of this show? 8:38 – How can we continue to change things for the better for women.